The All Progressives Congress (APC) says the opposition Peoples Democratic Party (PDP) and corruption are siamese twins. APC spokesman, Lanre Issa-Onilu, said this while reacting to the prosecution of the Chief Justice of the Federation, Walter Onnoghen, over non-declaration of some assets. The APC decried PDP’s failure to call for fair trial of Onnoghen given the charges filed against him by the Federal Government. The APC spokesman restated the commitment of the Muhammadu Buhari-led government to rid Nigeria of all forms of corruption. 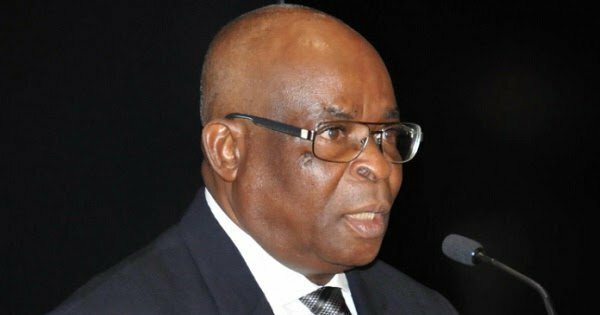 “Following reports of the move to prosecute Justice Walter Onnoghen, Chief Justice of the Federation, over an alleged infraction on the Code of Conduct laws, the swift statement by the Peoples Democratic Party (PDP) condemning the purported move has again exposed the Party as one with a natural inclination to rise up in defence of cases of alleged corruption,” Onilu said in a statement made available to Pulse on Sunday, January 13, 2019. “Resort to baseless postulations anytime issues of corruption is leveled against public officers only confirm what Nigerians already know. PDP and corruption are Siamese twins that are difficult to separate from each other. One would have thought that the PDP will call for impartial investigations when corruption cases are leveled against public officers, but spinning falsehoods and conspiracies remains the opposition party’s favorite past time. “Achieving acceptable elections in all democratic climes is a collective effort which requires the contributions and support of all well-meaning Nigerians, political parties, institutions, and sundry interests. “The PDP’s baseless conspiracy theory on APC’s participation in the 2019 general elections should hereby be disregarded. We remain solidly committed to ensuring that the forthcoming election go on record as one of the freest, most credible and peaceful elections in the country,” the statement said. Onnoghen is expected to appear before Danladi Umar Code of the Conduct Tribunal (CCT) on Monday, January 14, 2019, to defend the six-count charge filed against him by the Federal Government. Meanwhile, over 150 Senior Advocates of Nigeria are expected to accompany Onnoghen to the CCT as his prosecution begins.